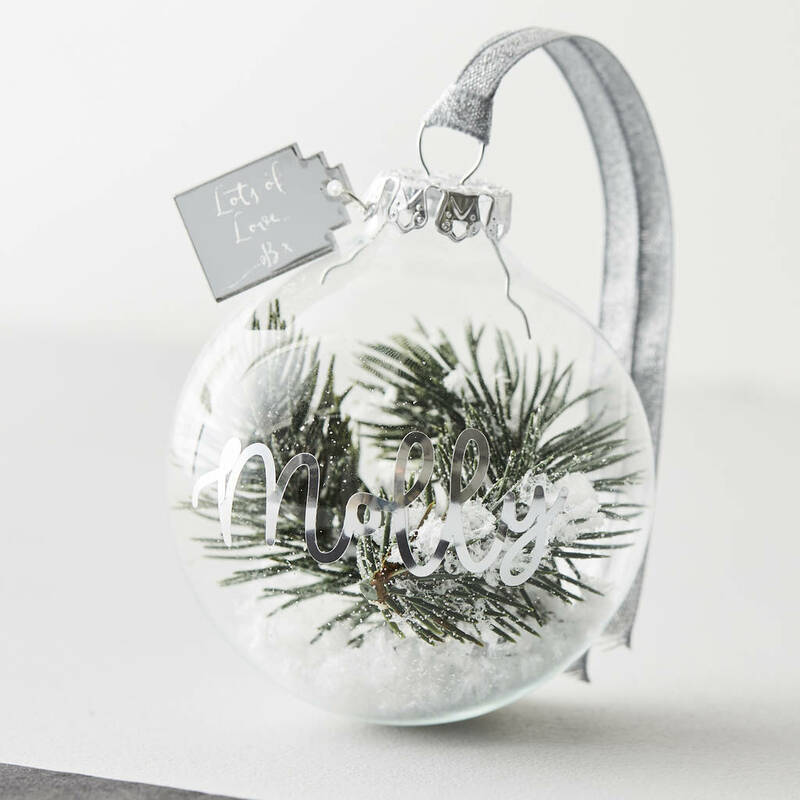 Add something special to your tree with this beautiful Personalised Snow Christmas Tree Bauble. 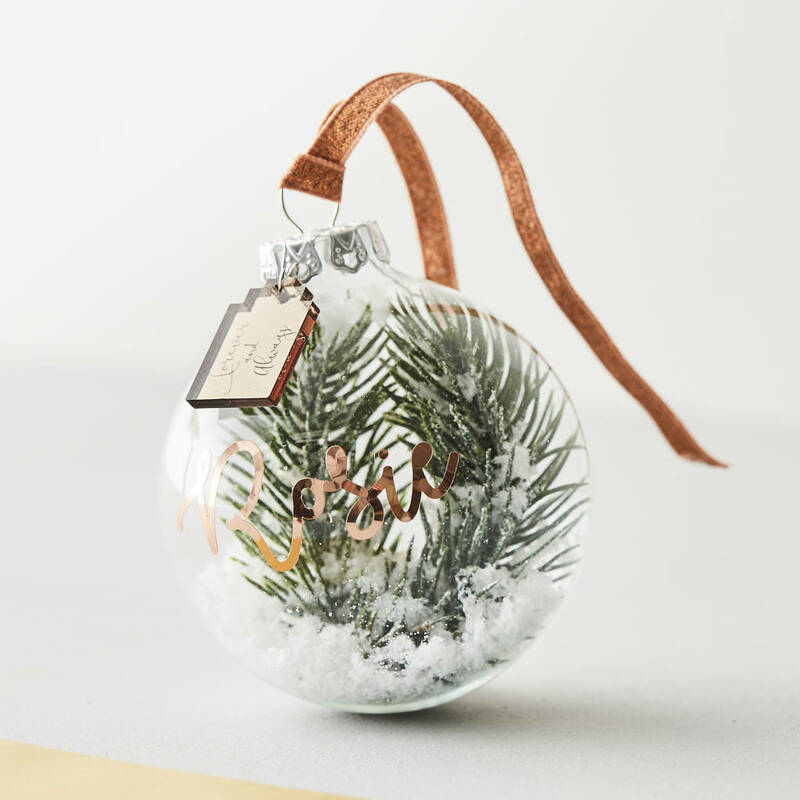 Our gorgeous Personalised Snow Christmas Tree Bauble is filled with a high quality faux sprig of fir tree, surrounded by a magical flurry of snow. 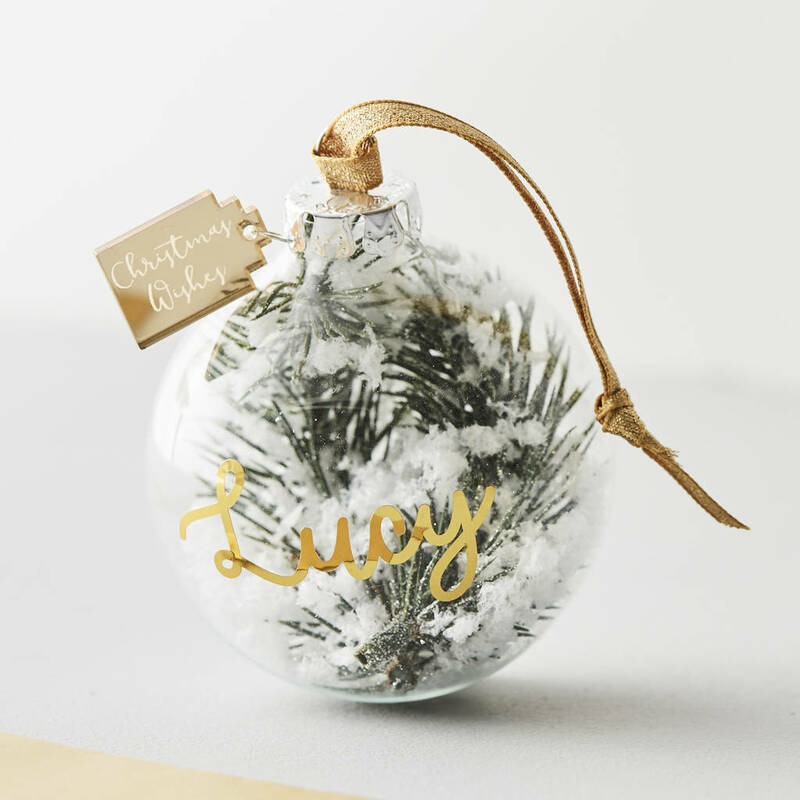 Add your chosen name in a colour of your choice to create a wonderful personalised bauble that is totally unique to you. 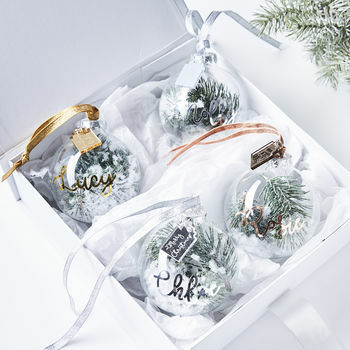 Our glass baubles also feature a delicate personalised tag to add that extra special touch to your decoration. 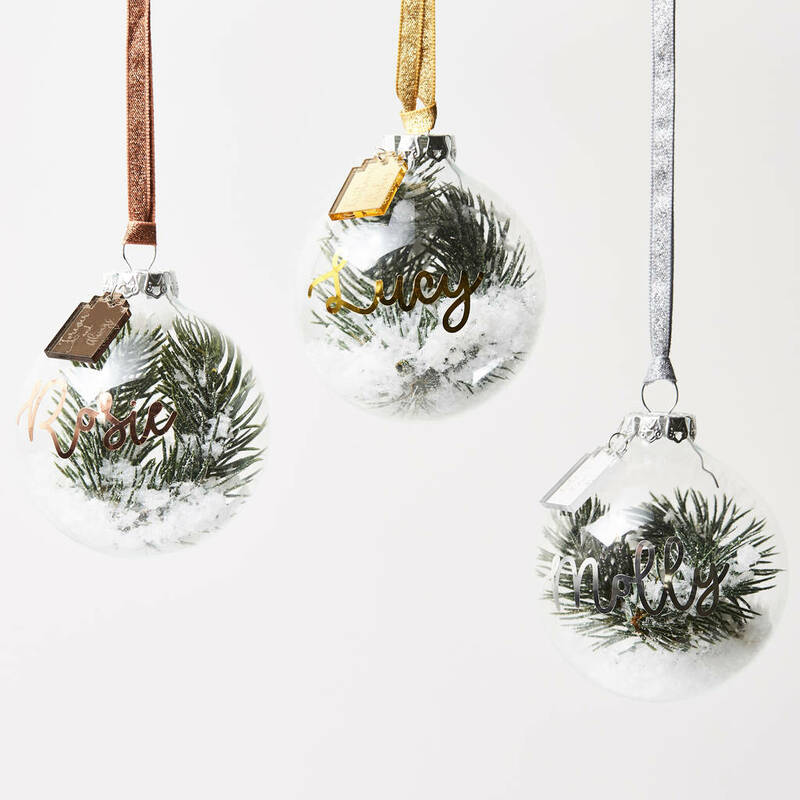 Simply let us know how many baubles you would like from the drop down menus. 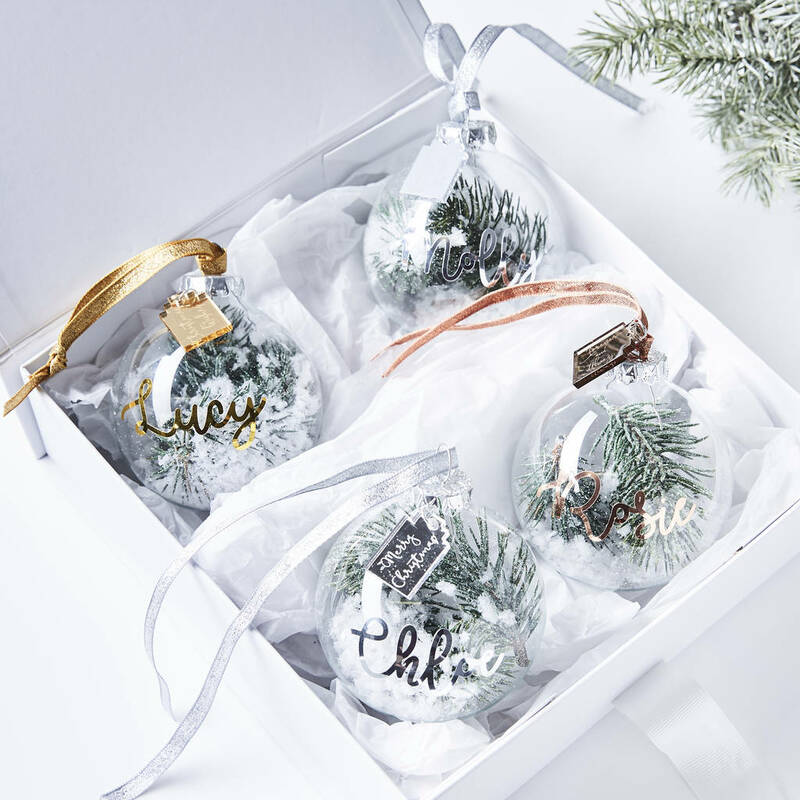 Select from beautiful mirror colours for your name on the front of the bauble, each colour goes perfectly with the snow scene inside. Bauble made from glass, filled with faux christmas tree sprig. 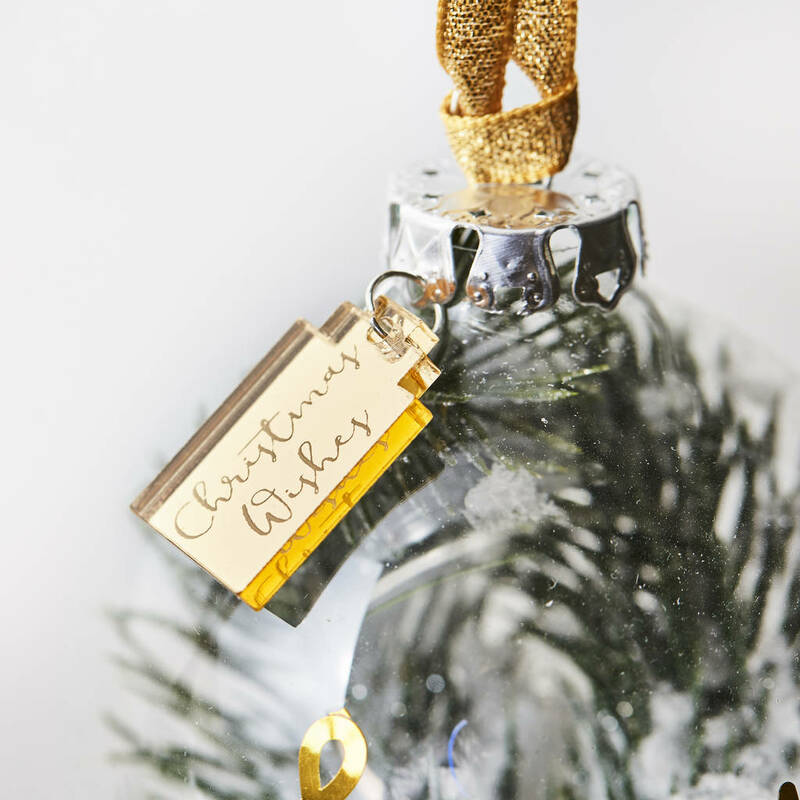 Each personalised bauble is bespoke. 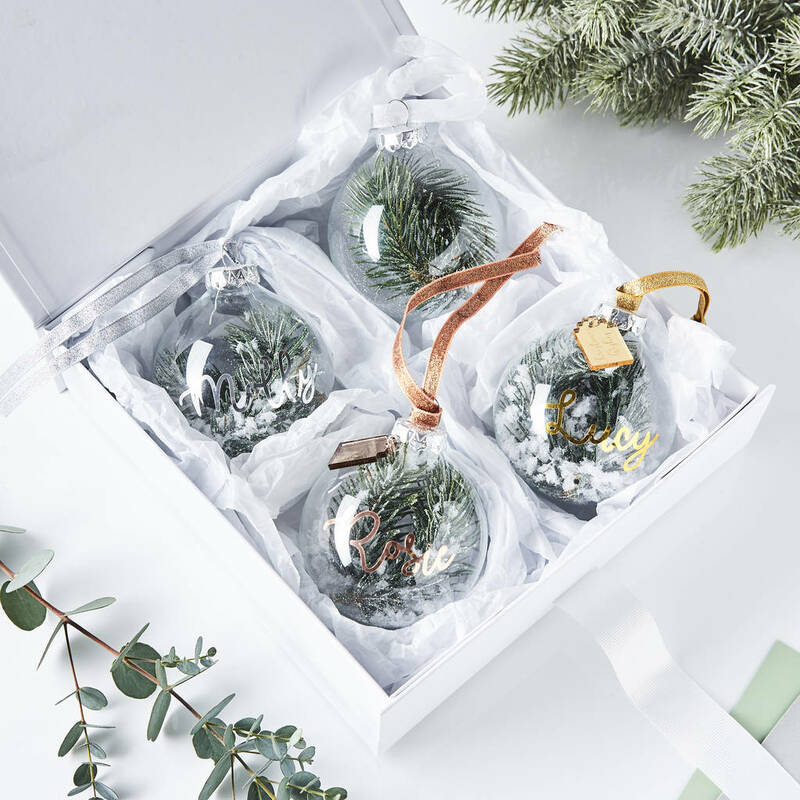 Once ready we will string your bauble with gorgeous ribbon. A beautiful and elegant finishing touch.